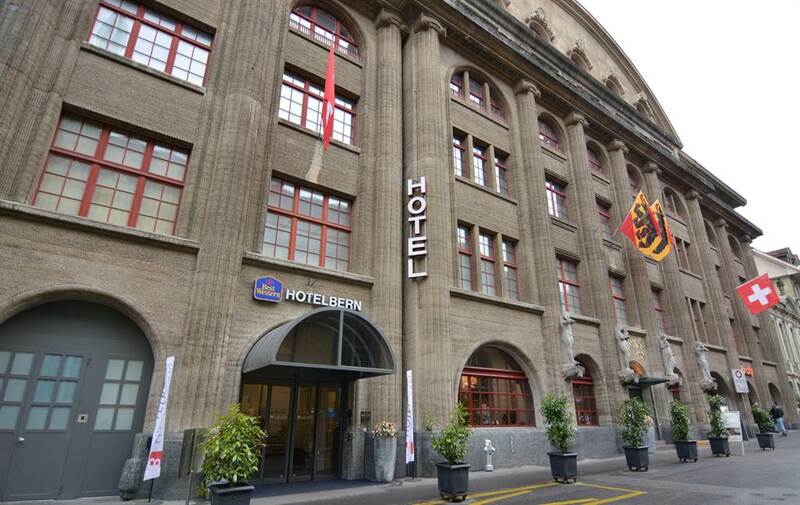 Centrally located, modern lifestyle hotel with impressive atrium, 171 bright and fashionably furnished rooms with a view of the old town and the Bernese Alps. Exclusive Penthouse rooms. A wide range of services and facilities including 4 restaurants, 2 bars, Grand casino with 15 gaming tables and 280 slot machines, wellness & fitness centre and hotel shop. Garage. Member of the WORLDHOTELS. All rooms have been renovated in 2009. Free internet in all rooms. Everything under one roof – this accommodation is conveniently also the congress venue. The city centre can easily be reached within 5 - 8 minutes walking distance or by tram No 9 in the direction of “Wabern” with a travel time of approximately 2 - 3 minutes. The tram station is right in front of the hotel. 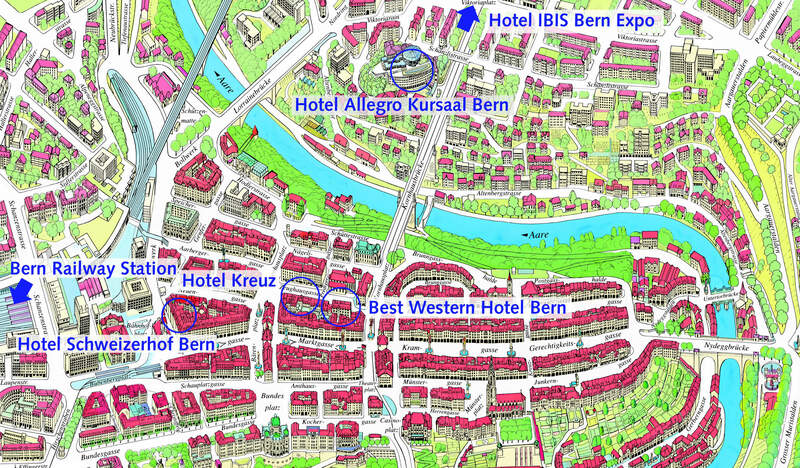 Trams from and to other Hotels are free of charge for Hotel guests with your Bern Ticket. 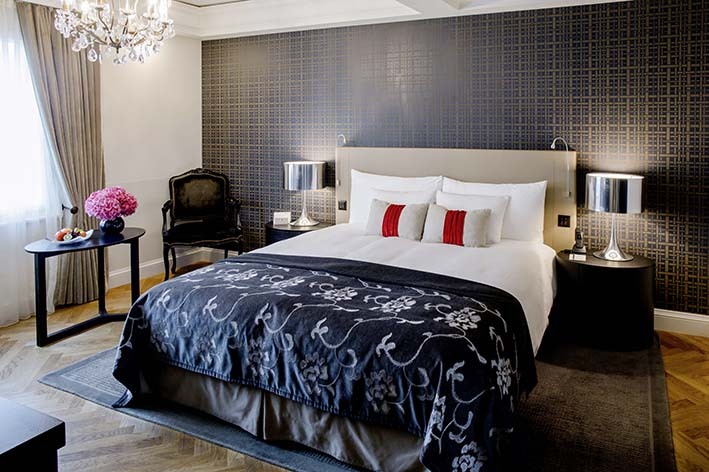 Quality-conscious hotel at the upper end of the 4 star category, with personal service and characterful interior decor. 99 rooms with 150 beds. In the heart of the old city center with its famous sights, only a few minute walk from the railway station, the federal houses of parliament and the business center. Original Hans Erni hand-knotted wall carpets in the conference rooms, meeting rooms with seating for up to 600 people. Awarded with the Quality Label Level II for Swiss Tourism. Free Wi-Fi is available. This accommodation is located in the city center of Bern. You can easily reach the congress venue within 5 - 10 minutes walking distance or by tram No 9 from the stop “Zytglogge” in direction of “Wankdorf Bahnhof”. Travel time to the “Kursaal” stop is approximately 2 minutes. The tram station “Zytglogge” is locatet next to the accommodation. Trams from and to other Hotels are free of charge for Hotel guests with the Bern Ticket. Our city centre hotel offers 162 beds in 103 contemporary single, double and three-bed rooms. 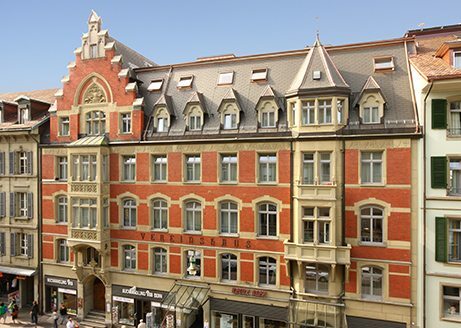 This beautiful old townhouse is just a short walk from the main railway station and "Bundeshaus" parliament building. Whether a day's shopping in the historic arcades or a mixed cultural offer: almost everything is within easy walking distance. A public multi-storey car park (Metro) is just next doors. Guests can enjoy the various day rooms, small gym and free use of the Internet terminal. Free W- LAN connections are also available throughout the hotel and at the restaurant. And there are wonderful views of the old town and the Alps from the roof terrace of the Kreuz Bern. This accommodation is located in the city center of Bern. You can easily reach the congress venue within 10 - 12 minutes walking distance or by tram No 9 from the stop “Bärenplatz” in direction of “Wankdorf Bahnhof”. Travel time to the “Kursaal” stop is approximately 5 minutes. The tram station “Bärenplatz” is locatet next to the accommodation. Trams from and to other Hotels are free of charge for Hotel guests with the Bern Ticket. 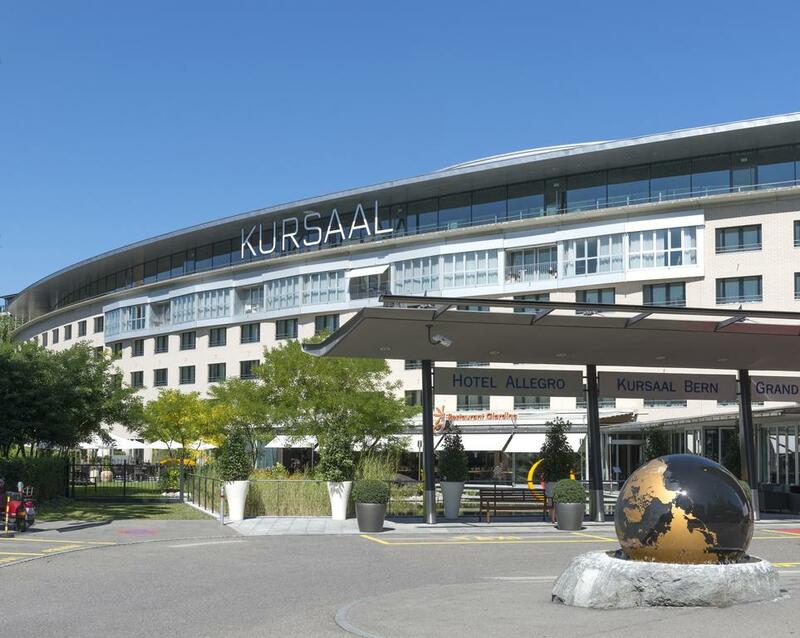 This modern hotel is located opposite the BEA Bern Expo Centre and is close to the Stade de Suisse, the National Equestrian Centre and the A1 and A6 motorways. Free Wi-Fi is available in the entire property. 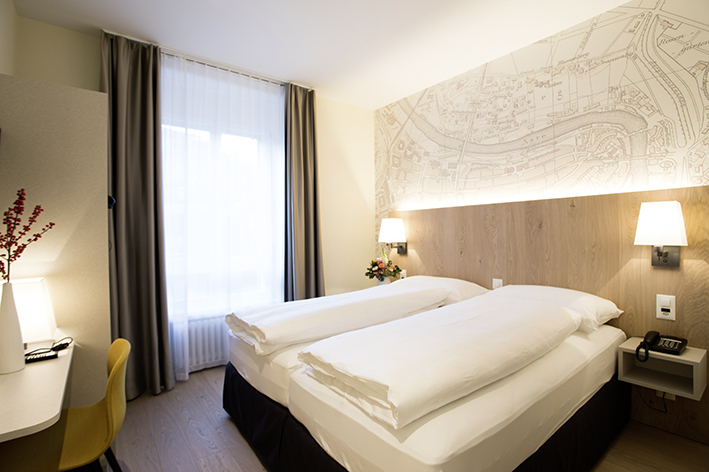 The Ibis Bern Expo offers air-conditioned rooms with satellite TV, and a bar serving snacks and drinks around the clock. A bus stop is just outside the hotel. You can reach the center in 10 minutes and the main train station in 15 minutes. The city center is just 1.5 km away, the Bern Belp International Airport only 10 km. Several restaurants can be found near the Ibis Bern Expo. This accommodation is located just a little outside the city centre. However, the Congress Venue is directly and very easy to reach by tram No 9 in direction “Wabern”. Travel time to the “Kursaal” stop and also to the city center is approximately 7 minutes. 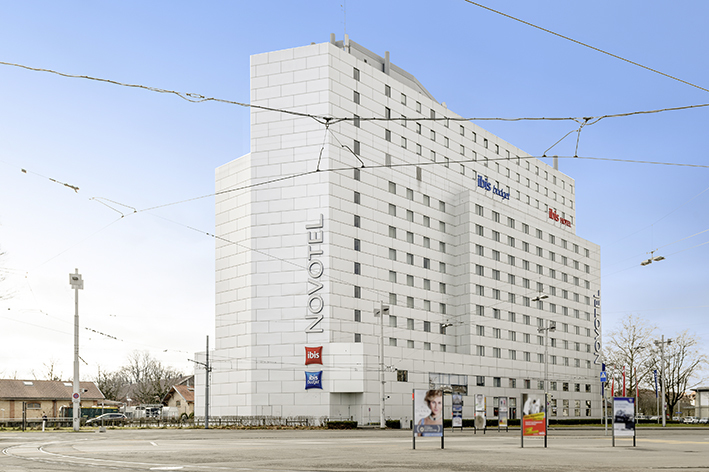 The tram station “Wankdorf Bahnhof” is right in front of the hotel. 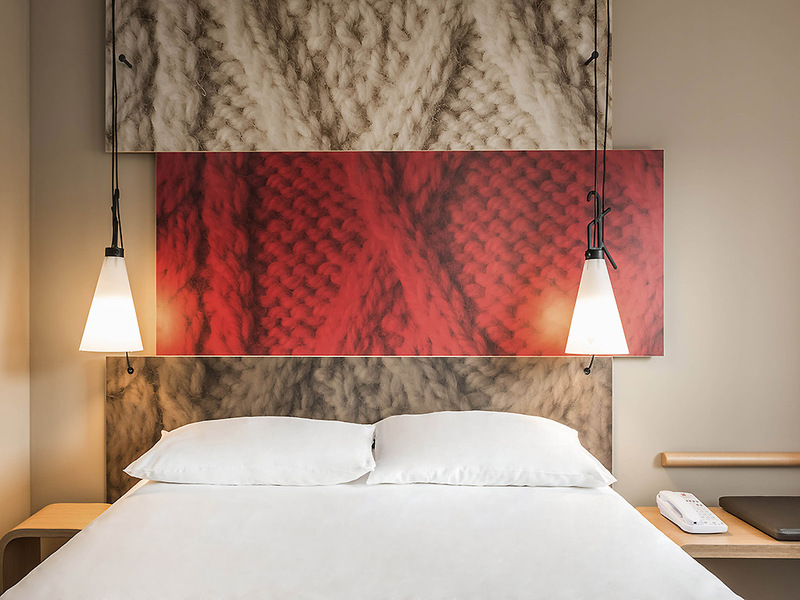 The 5-star Superior hotel in Bern’s premier location has undergone complete renovation to re- emerge resplendent with its combination of grand tradition, contemporary flair, elegant design and world-class service. 99 stylish rooms/suites with every comfort you may wish for and luxurious bathrooms are on offer. The Bel-Etage offers over 800m2 of function rooms and meeting space with state-of-the-art technology suitable for all kinds of exceptional events. The exclusive Lobby-Lounge-Bar and the Cigar Lounge are the heart of the Hotel Schweizerhof and at the same time the perfect meeting point for hotel guests and locals. The legendary restaurant Jack’s Brasserie will continue to spoil you with the familiar French charm. 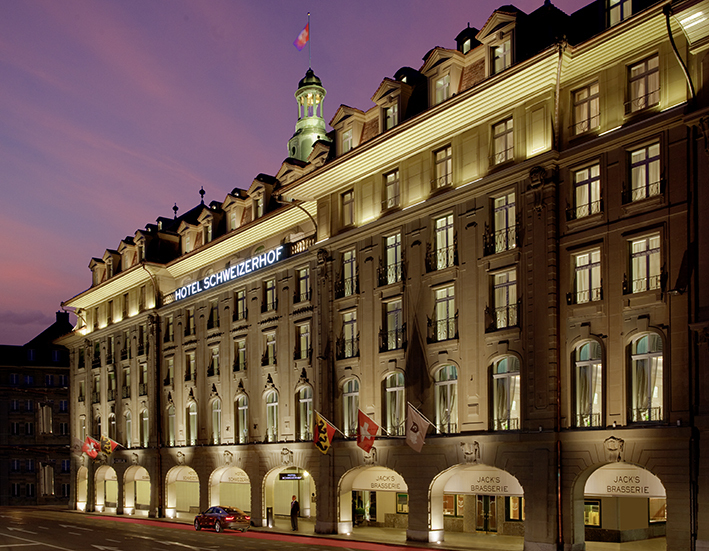 To complete the offer the Hotel Schweizerhof will open a 500m2 wellness area (beginning 2012). Free Wi-Fi is available. 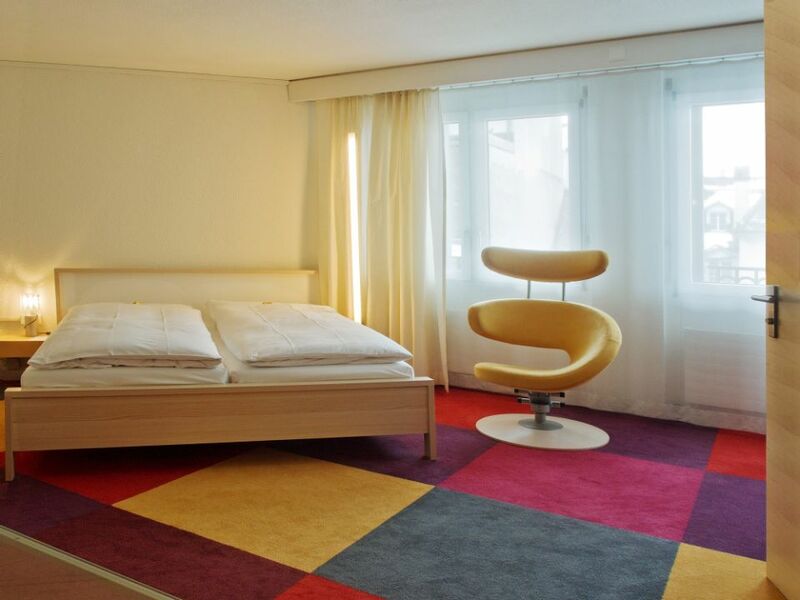 This accommodation is located in the city center of Bern next to the railway station. You can easily reach the congress venue within 15 minutes walking distance or by tram No 9 from the stop “Bahnhof Bern” in direction of “Wankdorf Bahnhof”. Travel time to the “Kursaal” stop is approximately 5 minutes. The tram station “Bahnhof Bern” is locatet next to the accommodation. You are welcome to book your stay in another hotel in Bern. Further Hotel and Information you will find HERE. Remark: Trams from and to other Hotels are free of charge for Hotel guests. From your overnight stay in a tourist accommodation in the city of Bern, you will receive a Bern Ticket for your whole stay, which lets you travel for free on public transport by Tram or Train in zones 100/101 operated by the LIBERO Association. Please note that all social events begin and end at the congress venue (Kursaal/Hotel Allegro). There will be no drop off or bus transfer to other hotels organized by the congress organization. The contents of these pages were prepared with utmost care. Nonetheless, we cannot assume liability for the timeless accuracy and completeness of the information.Our website contains links to external websites. the linked pages is always held by the provider or operator of the pages.